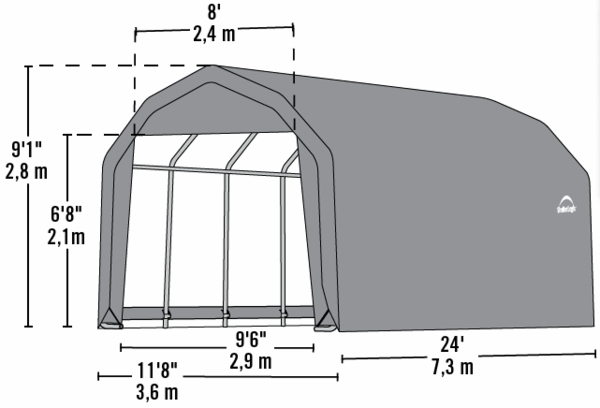 Keep your vehicle and other possessions protected with the Shelter Logic 12 x 24 x 9 Barn Style Portable Garage Canopy. This green portable homestead barn garage is made of high quality steel with a powder-coated finish that will prevent rust, weathering, chipping, and peeling. The Shelter Logic 12 x 24 x 9 Barn Style Portable Garage Canopy has also been treated to be 100% waterproof, while preventing fading and aging. 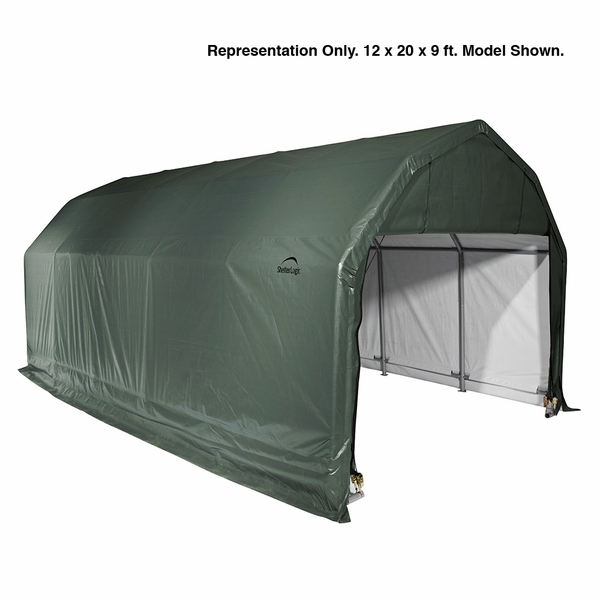 This portable garage canopy has even been treated to prevent fungus from growing. Every step has been taken to ensure that the Shelter Logic 12 x 24 x 9 Barn Style Portable Garage Canopy will be the best portable garage canopy for you.